Distance superiority. Greater accuracy. Improved feel. 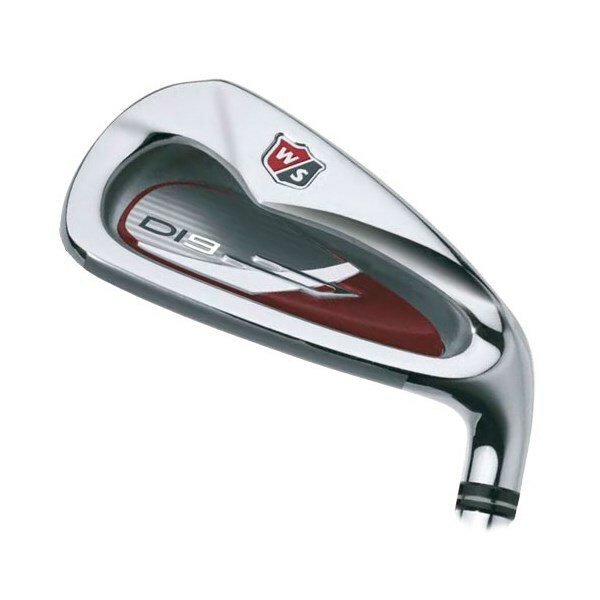 The Wilson Di9's are a great set of golf clubs. I bought them just recently and can already notice the difference in my short game. 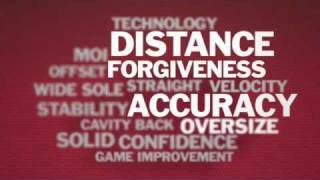 They give a decent amount of forgiveness but their main selling point is that they strike the ball extremely well. The only thing that i found out from using the clubs is that even though the sand wedge has a loft of 55 degrees it shouldn't be used to get you on to the green from the fairway as you will more times that not find yourself thinning it and over shooting the green. 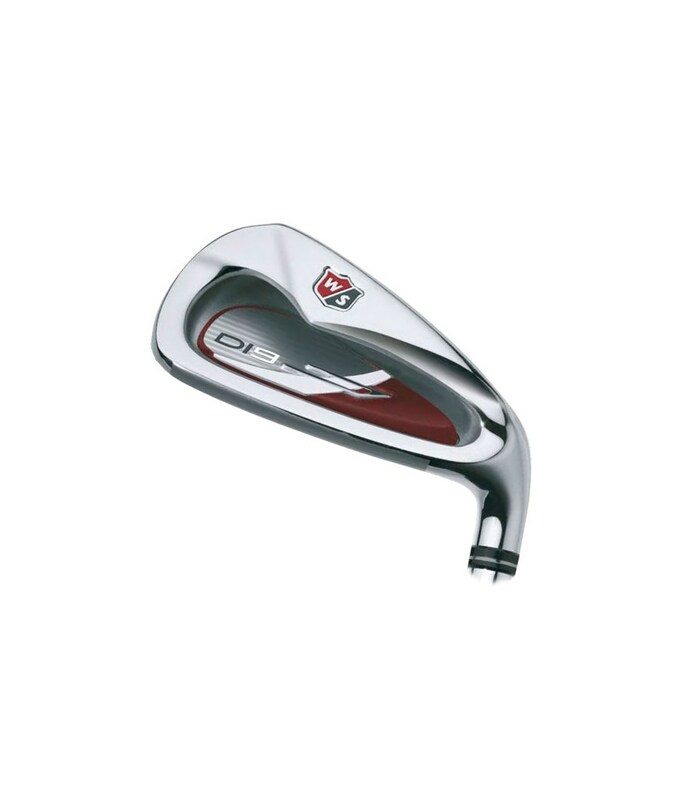 I've been looking for premium priced improver set of irons for a while and had heard and read good things about the Di9's. I took the opportunity to try these out and i must say they felt great. I've yet to use them on the course, but i'm hoping that with these i can bring my handicap down from 22. I've just taken delivery of my new set, which i ordered from golfonline and i'm looking forward to trying them out at the weekend. I ordered these on Thursday morning and took delivery today. Great service all round. Thanks. Great deal, I tryied teh di11 and the di9, for my opinion the di9 has the better look but the same feel. I like them very much and improved my game in the first two weeks. Great clubs. Ordered these clubs at 3pm on standard delivery and arrived the next day, excellent service. Would recommend these clubs to any high handicap player have dropped a club size first time I used them, very long and forgiving. Buy them! AN absolute joy to use. Not only do they give superb control, but added distance and improved feel with the ball. I thoroughly recommend these clubs to any novice starting out. I have had these for around a year now and have been happy with them. The sweet spot on these irons are massive so you can manage to hit a decent shot even after hitting a massive toe shank. I would say that if you are a high handicapper these irons are for you because they are designed for raw distance and straight shots. If you are someone who likes to shape your shots i would go for something not designed for hitting straight and long. Otherwise these irons look great, Sound great and are very easy to hit. A very good buy to upgrade your starter clubs. I cannot possibly describe how great these irons are. I am a relatively new golfer that decided to go very cheap on a new set of clubs a few years back just in case the game and I did not connect. I found my self to really enjoy the game and golfed maybe 8-10 times a year. I felt that my game was not improving and I became somewhat frustrated. During one approach the club head on my cheap 9 iron actually flew off the shaft and went farther than the ball. A friend (and good golfer) recommended that it was time for a new set. I purchased the DI9 set 5-9, PW, GW, AW for $150.00 NIB from a local pro shop. It is incedible how much my game has improved. One would say that maybe the improvement is somewhat mental, but the fact remains I now hit the ball straighter, where I aim, and much, much farther. To close out this last year I was golfing 4 times a week and having a blast. Got my first ace on a 126yd par 3 with my nine. You will not be disappointed and you will not be tempted to pay the big bucks for the same performance for the 'bigger' name brand irons. Wilson did an excellent job and they look very nice, and the feel is great. I hit the ball and really do not even feel it, looking up I see my shot true and just where I wanted it. At this rate I should be on tour next year (Ha!). Bottom line ... buy them. Great clubs!!! Just bought them and i´m allready amazed. Never hit an iron that long and straight befor. Very forgiving and very long, good looking! Thanks for that fast delivery, i ordered on friday and got them on wednesday(to Germany). I recently purchased a set of these and only one word can describe them:FANTASTIC! I tend to hit the ball quite low and thus struggled with getting stop on greens, but with these I get a higher ball flight and the ball sits down much better on greens. My only criticism would be that the strong lofts can make the wedge gaps large if you have already got wedges. I have these clubs a couple of months now and i find them really good. After the usual \"lifting my head all the time\" as you always do with new clubs i have been hitting them really well. I still struggle a bit with the 5 iron but that's more down to me than the clubs. Great grips and a great looking club. Highly recommended. Never bought Wilson before but would again. Barry McCune. I have purchaced these clubs after using an older set for years. All I can say is WOW! What a difference! 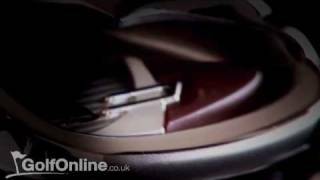 I tried many manufacturers before deciding on the Di9s. They look good and feel even better. They are forgiving on bad shots and you feel like a pro when you nail an iron shot, watching the trajectory and admiring your work! It is great to be using modern technology at an affordable price. These clubs will definitely lower your handicap. My Father saw me hitting my new clubs and decided he needed a set too! I also have the Wilson Staff 3w, 15*. Best fairway wood I have ever hit. Regan, N.Z. I am a returning golfer after a lay off of 15 years. I was convinced that I would buy a set of true blades again, but happened to be in a shop and had the opportunity to try these. It was a bit of a revellation to me. They were so easy to hit, and give you great feel, particularly with a softer ball. I can't say that I particularly notice that they go any further, and nor do I think that I hit them any higher, but they are incredibly easy to control. I guess like most amateur golfers I used to find that the lower number clubs were much harder to control, but I have never hit a 4 iron as effortlessly. The only criticism that I have of these clubs is that they don't come with a 3 iron, and when they are as easy to hit I think it should be included. 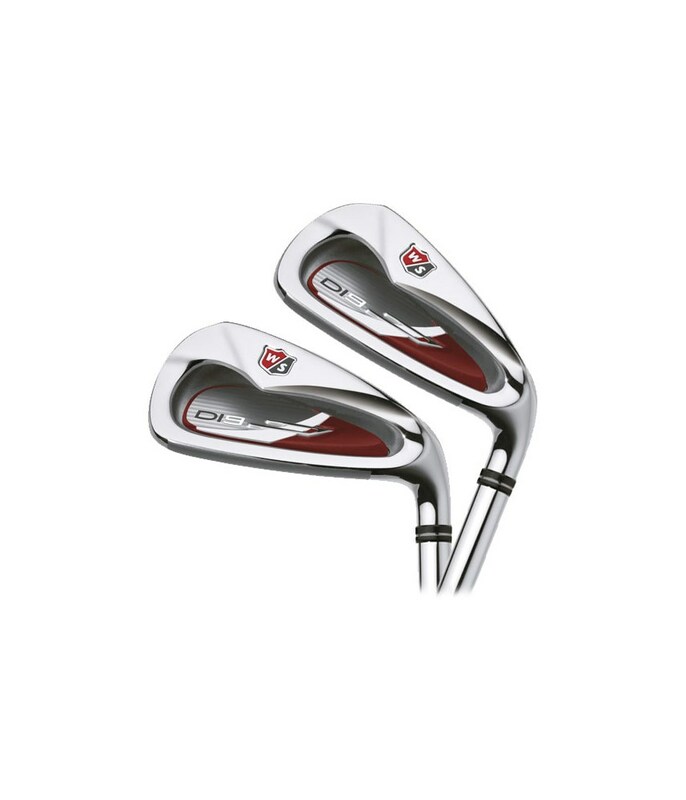 In fact I have just ordered one up, and if a 2 iron had been available I would have had one of them as well. I've been using these irons for three months now, and very impressed. Very easy to hit, and with the extended sweet spot, forgiving. I would suggest purchasing a Gap or Approch wedge to complete the set. Highly recommend these iron, and at a very good price. 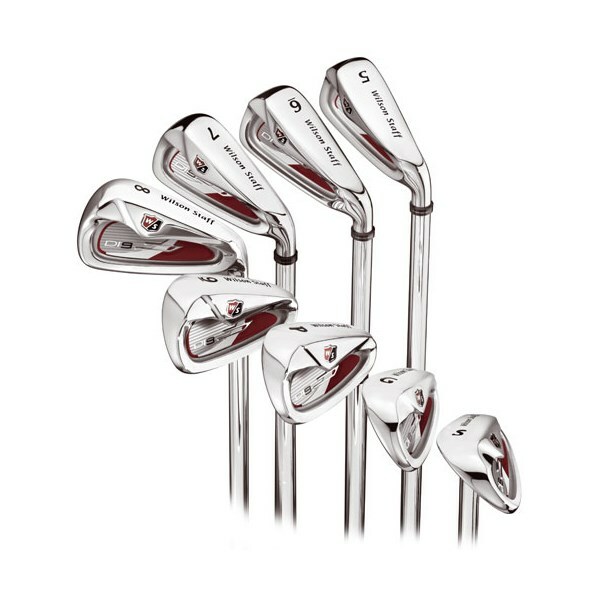 Have tried many iron sets looking to upgrade from my starter set, and settled on either these or the mizuno mx200. Found these clubs so easy to get the ball airborne and increased my swing speed with the light shafts. Consistent, straight and high ball flights were the results, allowing excellent control on approach shots. Although these are supposedly 'distance' clubs, the higher ball flight actually limited my distance so didn't notice any increase over most other irons. These irons are hugely forgiving due to the sweet spot moved towards the toe, which I found very useful as all my off centre hits come from the toe and didn't lose much in distance or accuracy from this area. Eventually chose the mx200's simply for the added feel they provide and good offer price, but these came a very close second and are slightly cheaper too. This clubs are awesome. It feels like you swing faster. And the feel at impact is really soft. They are also really easy to hit straight because of the offset. Excellent clubs for a low price. I had the chance to hit these the other day. Granted, it was indoors at a Golf Galaxy, but these are the best feeling clubs that I have hit in a long time. 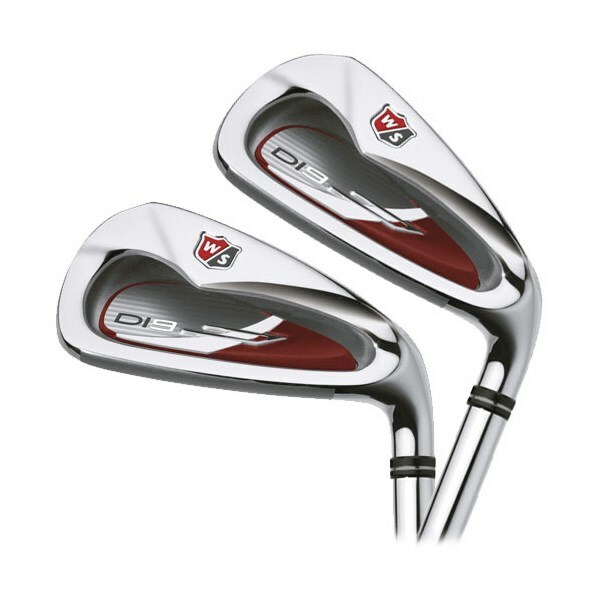 I have been on a "club quest" for a while now and had my options whittled down to the Wilson Ci7 or the Wilson Di7. I was leaning towards the Ci7 due to less offset that would calm down my almost-automatic left to left ball flight. Right now, I have the Ping G5 and they have a definite tendency to start left and move more left! Then ... I saw an ad for the new Wilson Di9 and felt that I had to check these out before I did anything. Any time the general information says something like, "They learned a lot with the Di7's and have put that to use in the new Di9's", I figure that the new ones must be better! When I finally found someone that had a set that I could take a few whacks with, I think that I found the sticks that I am going to buy! They were just as smooth as can be. The new lightweight 99 gram shaft felt very solid. The shaft is "Uniflex" but I feel that the "Fat Shaft" (they seem to have re-named it "Wide-Tip") aspect makes this just fine. That way, I don't have to agonize over whether or not I made the right choice of shaft stiffness! I am actually a big fan of the Fat Shaft technology but ended up with the Pings in a moment of weakness (actually, an annual golf equipment mental illness). These sticks are a little up in price, but they are still very economical compared to some and Wilson Staff has to pay Padraig somehow! Wilson Staff® has learned a lot with their award-winning Di7 iron and delivered it in the all new Di9. Distance superiority. Greater accuracy. Improved feel. The Di9 is more powerful, more accurate and more fun to play. Integrated Design. Generate maximum power. Stabilise the power for straighter flight. Reduce impact vibration for better feel. A lower profile and wider sole lowers the CG promoting a higher and straighter ball flight for greater distance. Comparative distance testing shows ball speed off of the Di9 to be superior, resulting in greater distance from a hot, responsive face. Wilson’s patented wide-tip technology is applied to super lightweight shafts from UST and True Temper. While the wide tip controls twisting inherent in today’s oversized iron heads, the reduced weight generates maximum clubhead speed for even greater distance. This is the softest wide-tip shaft ever produced. While its low-profile, wide-sole head design is visually appealing, it is also highly functional. Because 85% of all shots are hit from the center to the toe, the Di9 incorporates a toe-friendly cavity that extends the sweet spot to where most shots are hit. Di9 has the highest MOI when compared to key competitors. 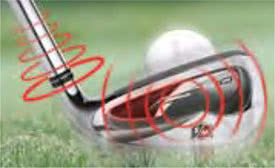 A low profile head moves the center of gravity (CG) down for higher ball flight. A wide sole moves the CG back for greater stability and a wider shaft tip reduces twisting on off-center hits. Covering the entire length of the cavity is a low durometer, vibration-dampening urethane medallion which expands the sweet spot to the entire length of the face. The urethane insert is thicker in the heel and serves as a shock-trap that reduces the vibrations that travel through the hosel, up the shaft and into your hands. The aggressive design on the fully functional grips have blister-free zones under thumbs and lower fore-finger. The vertical and horizontal grooves promote torsional traction for rotation. 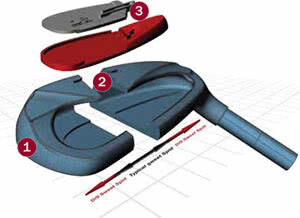 The Di9 Irons were awarded a Silver Medal in the Super Game Improvement Irons section of the Golf Digest 2009 Hot List. It was awarded this based on its playability, feel and looks. 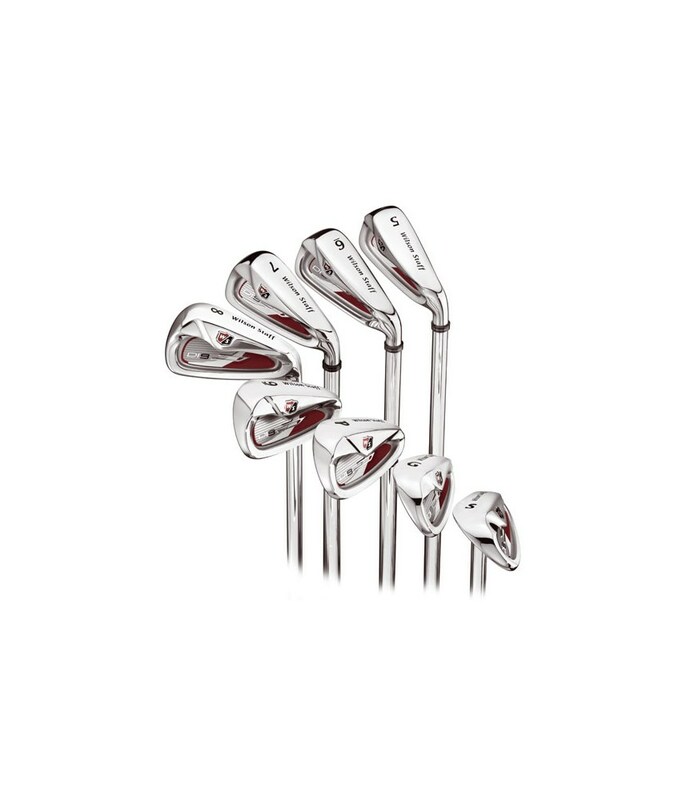 Today's Golfer magazine voted the Di9 Irons "Golf's Most Powerful Irons" in 2009.